Parker Palmer in his book, Let Your Life Speak-Listening for the Voice of Vocation, encourages us to reflect on the challenging question, “Is what I’m doing my life?” In other words, how does my work reflect what I value the most in my life? This may seem like a superfluous question when facing or forced into a job change. Paying bills, putting food on the table and insuring a roof overhead are where your energies are focused. Maslow’s hierarchy of needs reinforces that principle—the priority is meeting basic needs. Examining philosophy and the deeper meaning of life—including for some, where is God in all this can wait. So how does one search for meaning in a new job or career direction when the pressure is clearly to get a job—sometimes, any job, in order to meet base needs? Where do we find strength, guidance, or direction when the going gets tough? More specifically, if we believe in a power, force or love beyond ourselves (God, the Divine, Sacred, Spirit, Being, Now, Allah, Yahweh, Truth…….) does it come into our transition?—and if so, how, when and what are the benefits? What and where is faith in times of stress and pressure? Faith and spirituality are certainly personal and come in all shapes and sizes. Let’s look at a straightforward definition of spirituality as a start i.e. to know and to live according to the knowledge that there is more to life than meets the eye. We can all think of life situations where factors beyond the mental or physical provided influence or impact on a situation. Asking ourselves if we’re being called to something different and deeper than our conventional career path may be the core question. If the answer is a “shaky yes,” it could make the process more directed, even easier—or in cases more complex. The important thing is to spend time with the questions and don’t rush into anything, Obviously, bringing your loved ones into the decision-making process is essential. Henri Nouwen in The Inner Voice of Love, wrote spiritual imperatives to himself as he went through the darkest period of his life as a loving relationship ended. In these imperatives, he wrote about the deep truths he knew about himself and his God. As he went through a significant transition in his life, these writings guided his decisions—and his faith. Pay attention to these excerpts from the book—maybe they can be thought provoking in your transition. 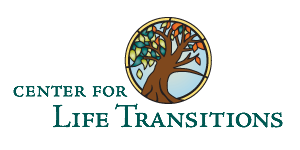 In this initial Center for Life Transitions blog, we encourage you to reflect on the challenge of faith and spirituality in time of job/career change or crisis. Where and how do you find spiritual strength and how do you use it? Who are your helpers and supports? How does vocation enter into this transition? Would there be value in writing your personal “spiritual or transition imperatives? The beautiful classic hymn, Be Thou My Vision, has words for reflection…..
Waking or sleeping, Thy presence my light………. Look to your “center” –reflect, explore and “let your life speak” from that true place. Please leave a comment on this blog post or contact me through The Center for Life Transitions, Inc.